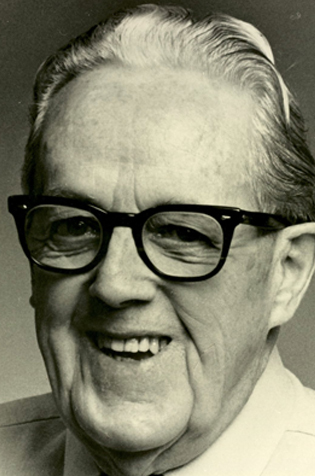 Born in Brandon, Manitoba, he graduated from the University of Manitoba in 1924. He joined the Canadian Press in Winnipeg, later transferred to Toronto and originated the selection of Canadian Football League All Star teams by Canada’s sportswriters. As a Canadian Press (CP) war correspondent, he arrived overseas with Canada’s first contingent in 1939, and served in the Canadian Army until 1942. He was General Manager of CP from 1945 to 1969. Gillis Purcell was inducted into the Canadian Football Hall of Fame and Museum, Football Reporters of Canada wing in 1987.